Lookout loves fellow independent presses and tries to help sustain the literary culture by participating in conversations via blog posts (like this one! ), interviews, articles, and social media promotions. In last week’s Lookout class, for example, we discussed the terrific recent New Yorker article about New Directions. 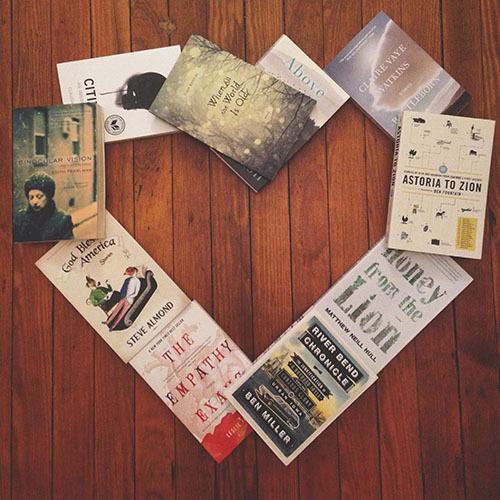 For Valentine’s Day, staff member Kate McMullen posted this Instagram photo, which featured her favorite books by peer presses, big and small, next to Lookout’s titles. 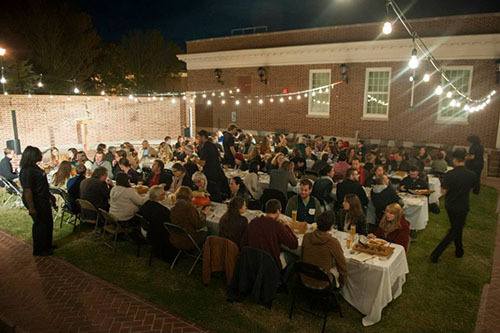 When Ecotone released its sustenance-themed issue (Issue 18, Volume 10.1), it hosted a farm-to-table supper with Feast Down East, a local nonprofit organization that connects small farmers with restaurants, schools, grocers, and hospitals. 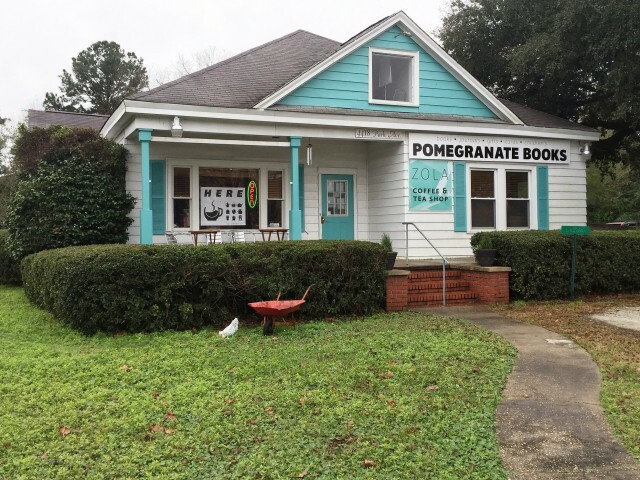 Pomegranate Books sold copies of books by the two speakers and Ecotone contributors, Alison Hawthorne Deming and Randall Kenan. 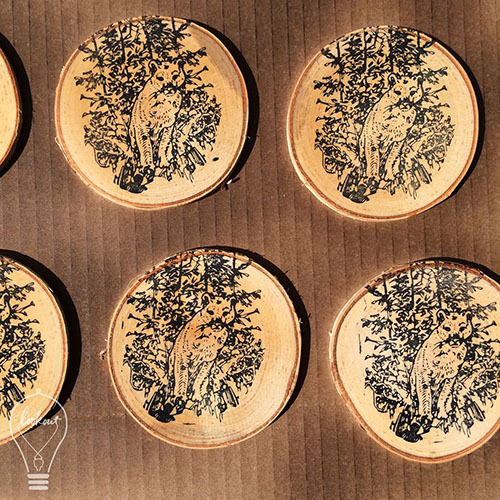 By working with the community, both Lookout and Ecotone expand their reach and mission. When designing covers for Lookout’s books, Publisher Emily Smith always tries to work with independent artists and illustrators. 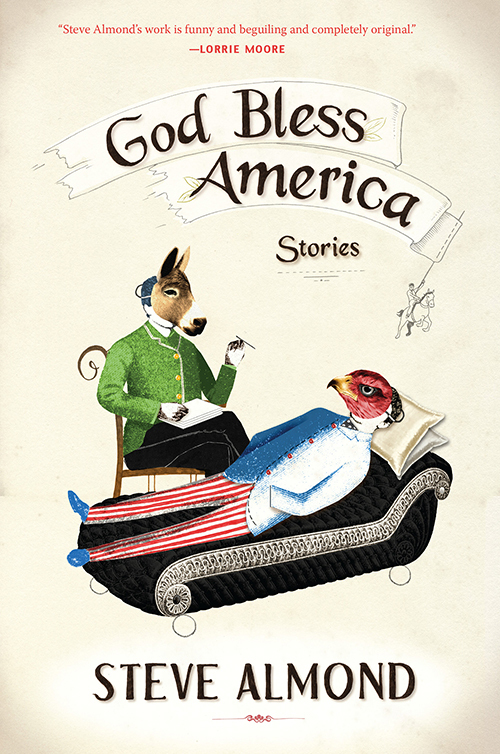 The cover for Steve Almond’s God Bless America features a custom illustration by Valero Doval, and for Ben Miller’s River Bend Chronicle: The Junkification of a Boyhood Idyll Amid the Curious Glory of Urban Iowa, she worked with illustrator and designer Matthew Kaven Brooks to create a cover that includes ephemera from the author’s childhood alongside a distinctive type treatment that appropriately highlights the memoir’s lengthy, wacky subtitle. 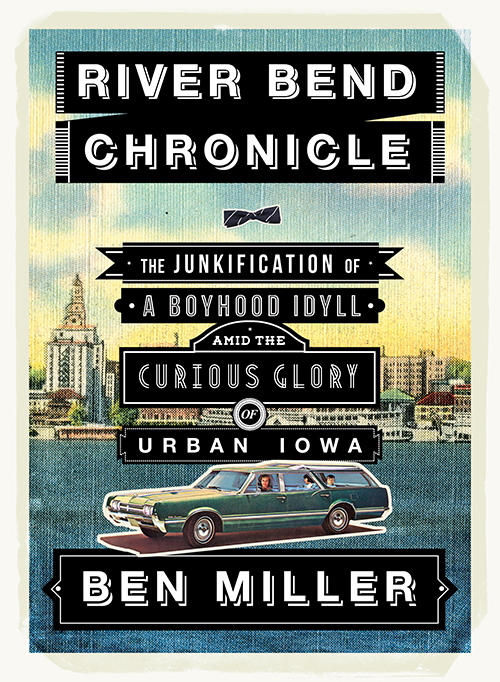 Lookout’s jackets not only stand out on shelves, they further the imprint’s mission to bring attention to its interesting catalog of books and authors.